Captain Marvel Magic Eye Puzzles! The most recent Captain Marvel movie promo from Marvel is another reminder that the movie takes place during the 90’s! Who can forget these trippy looking “magic eye” puzzles? 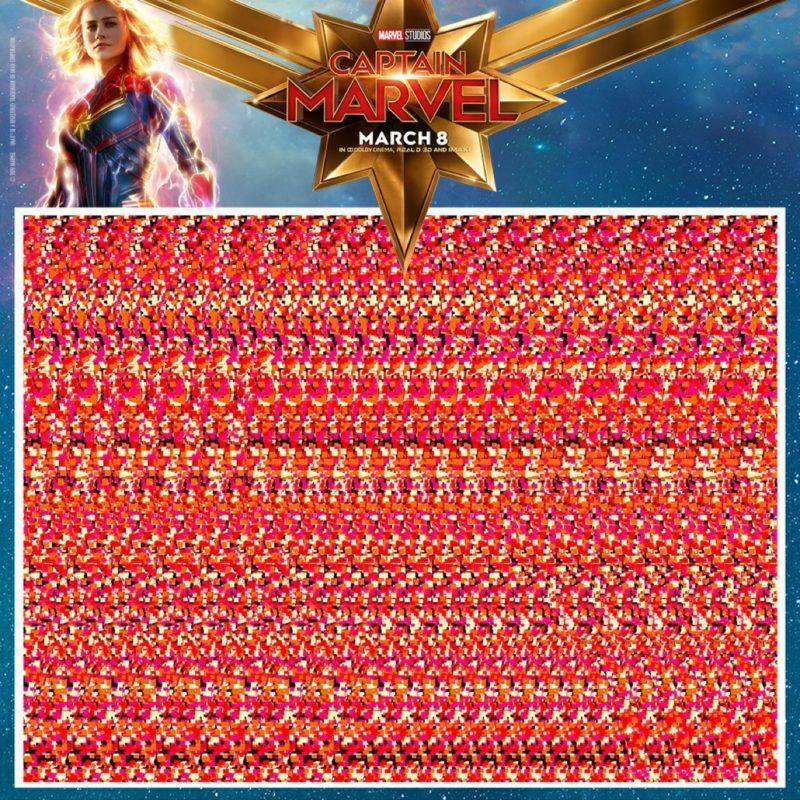 Use the Pages buttons below to browse these Captain Marvel magic eye images! Tagged Captain Marvel, Marvel, Marvel Cinematic Universe, Marvel Studios, MCU, Movies, Nostalgia. « Funko Fridays At Target: Target Con Edition Reveals!